 The IRIO/Blinds module is a controller for blind and curtain motors. A built-in current sensor allows IRIO to know when the motor is in operation, making it possible to accurately move blinds to any position. The IRIO/Blinds module can be used standalone for blind control, or it can be networked with Comfort CP9000, UCM/Logic or LGX01 Logic Engine. Blind position can be user-controlled via the Comfort App. The IRIO01 Intelligent Remote Input/Output Modules are a series of general purpose automation products capable of a wide range of control functions including Digital Inputs, Digital Outputs, Analog Inputs (0-10V), Analog Outputs (0-10V), and Temperature and Light Level Sensing. This allows the control of HVAC, Blinds, Infrared signal transmission, and Two-Way Switch Lighting. 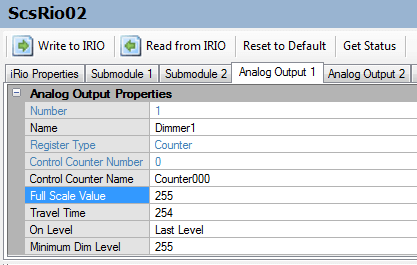 IRIO modules are easy to program and require little wiring. Up to 15 IRIOs can be installed in a system, which can be controlled by the Comfort Alarm/Automation System, LGX01 Logic Engine, or the UCM/Logic Controller. IRIO can be used in standalone mode when no control from other systems or other IRIOs is required. 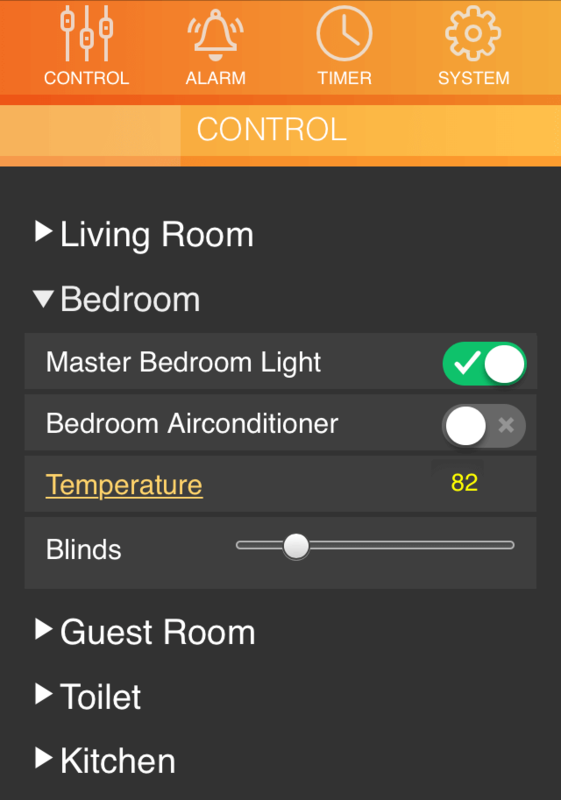 Free mobile apps can be used to view the status and control connected blinds as well as lighting, heating, air conditioners and other appliances. IRIO/RLY01 Relay Module with 8 Relays with Normally Open / Normally Closed Contacts. This can be connected to IRIO/IO. 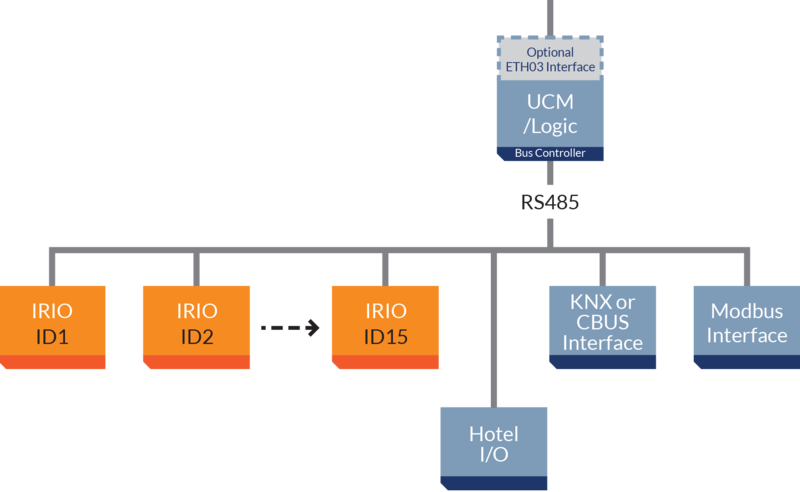 Interfaces between IRIO and Modbus, KNX, C-Bus and Hotel I/O are possible via Cytech UCM Interfaces. 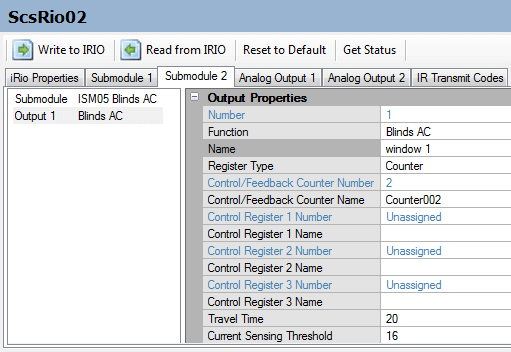 IRIO/Blinds is easy to program using the Comfigurator Software tool. Comfort controls the curtain by setting a counter value for control. Up to 3 counters can be mapped for control so that scenes can be used. The counter value 0 is the top position, while 255 is the bottom position. 1 to 254 are intermediate positions from top to bottom of travel. Setting a value into any of the 3 Control Counters should move the blinds to the desired position. For example, a counter value of 128 will move the blinds approximately to the halfway position. The actual position of the blinds from the top is mapped to a Comfort Counter. Time taken by the blinds to fully travel from top to bottom or vice versa. The IRIO/Blinds will know when the motor has stopped moving via the built-in current sensor. The Travel Time setting may be adjusted after some years if the Motor speed has changed. Each IRIO/TWS also includes 2 x 0-10V outputs for the control of suitable dimmable lights. Each 0-10V output is mapped to a Counter so that setting a value to the counter sets the dimming level between 0 and 255. The Full Scale Level can have the counter set at 255 or 99. Travel Time is the time taken for the voltage to go from 0 to 10 and vice versa. On Level is either Full Bright or Last Level (memory) when the output is switched on to full scale. Low Power Microcontroller with Flash memory for firmware and configuration settings. Up to 15 IRIO modules (including IRIO/TWS; IRIO/Blinds; IRIO/IO; IRIO/IR) can be installed in an RS485 Bus network with a UCM/Logic or LGX01 Bus Controller. LGX Logic Engine has 8 Inputs and Outputs. UCM/Logic is a low-cost controller with no Inputs or Outputs. Cytech's KNX, C-Bus, Modbus and other 3rd party interfaces can be connected to the same Rs485 Bus for further integration.